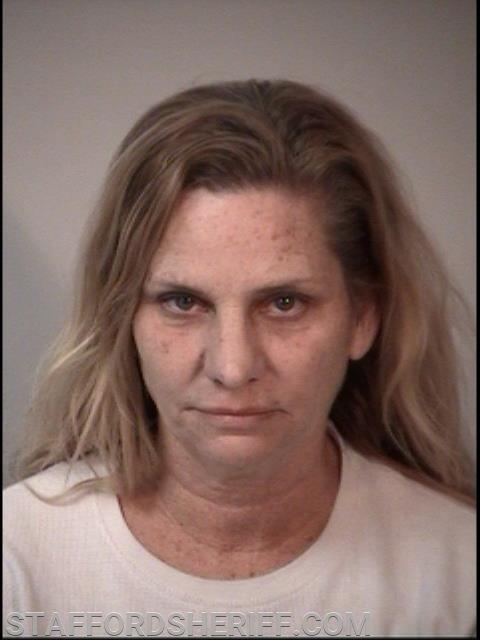 Stafford, VA. A suspect was arrested on Saturday by deputies with the Stafford County Sheriff’s Office after driving under the influence around Stafford Marketplace and colliding into several objects, including the brick wall of Bed Bath and Beyond. The wild ride ended after the suspect vehicle went through a fence and crashed into a boulder at Moncure Elementary School after school hours. On Saturday, January 19, 2019, at approximately 7:25 p.m., Deputy Daniel Reed responded to reports of a drunk driver at the Wendy’s fast food restaurant on Garrisonville Road. A witness observed the suspect vehicle crash into an unoccupied vehicle and a light pole, leaving its front license plate embedded in the pole. The suspect vehicle then drove away from the scene. Another witness observed the suspect vehicle drive over the curb onto Garrisonville Road, nearly hitting several vehicles head-on. The witness began following the suspect vehicle and watched as it crossed over the concrete median across traffic and into the entrance of Stafford Marketplace. The witness observed the vehicle driving recklessly through Stafford Marketplace, almost hitting several vehicles and objects. The suspect vehicle then careened into the brick wall of Bed Bath and Beyond, which did not cause any damage to the wall, but did result in heavy front end damage to the suspect vehicle. As the vehicle backed up, it hit a sign, a metal bench, and a large flower pot—all of which were significantly damaged. The driver then continued traveling towards Lowe’s at a high rate of speed. The witness observed the suspect vehicle cross Staffordboro Boulevard into the commuter lot and then drive straight towards the bus gate entrance of Moncure Elementary School. During this time, the Sheriff’s Office received numerous complaints from citizens in the area. The suspect vehicle drove through the closed right gate and through the fence attached to it before coming to a stop in the grass near the playground. The driver then restarted the vehicle, which began spinning in the grass before crashing into a large boulder in the center of the bus turnaround. Deputy Reed arrived at the school just after the driver crashed into the boulder. The vehicle was significantly damaged and all air bags had deployed. The driver was attempting to reverse the vehicle out of the mud. The deputy ran to the vehicle and commanded the driver to turn off the vehicle. He aided her in turning it off and removed her from the vehicle. As the deputy escorted the suspect to his cruiser, he detected the odor of an alcoholic beverage emanating from her person. She was also unsteady on her feet and fell over several times. The deputy identified her as Sherry Fitzgerald, 51, of Stafford. Field sobriety tests were subsequently conducted and Fitzgerald admitted to drinking alcohol and taking multiple over-the-counter drugs as well as a prescription medication that was not prescribed to her. Fitzgerald was taken into custody and incarcerated at Rappahannock Regional Jail on an unsecured bond. She is charged with driving under the influence, hit and run, destruction of property, and a traffic violation.